Another Black Conservative: Mitt Romney Version 6.0- Now with skinny jeans! Mitt Romney Version 6.0- Now with skinny jeans! LA Times: Reporting from Washington — Defying his reputation as a 1950s square, the new, more casual Mitt Romney is popping up around the country as he readies a second run for president. He's going tieless on network TV, strollingNASCAR pits in Daytona and sporting skinny Gap jeans bought for him by his wife. His latest campaign book, just out in paperback, opens with a regular-guy scene: wealthy Mitt in a Wal-Mart checkout line, buying gifts for his grandsons and comparing the surroundings to Target, another discount store he says he's familiar with. The image tweaks are part of a broader makeover as Romney prepares to run from what should be an enviable spot: He's the early Republican favorite — though far from an inevitable nominee. Skinny Jeans and Walmart? Perhaps if Mitt Romney did not treat the TEA Party like it had the plague, he would not have to go around pretending to be "one of the people". One of the crucial elements people are looking for in 2012 is authenticity. After Obama, Americans are done with window dressing. Many of us would be happy to elect a buck-tooth, bald head, fat man so long as he really says what he means and means what he says. When it come to Mitt Romney, we have no idea what we will get. “Senator Obama campaigned hard in New Hampshire but he apparently didn’t like what he saw,” Romney says in prepared remarks. “He certainly didn’t learn from it. Instead of lowering taxes, he raised them. He wrapped businesses in red tape, he grew government, he borrowed trillions of dollars, and he made it clear that he doesn’t like business people very much. “He created a deeper recession, and delayed the recovery. The consequence is soaring numbers of Americans enduring unemployment, foreclosures and bankruptcies. This is the Obama Misery Index, and it is at a record high. It’s going to take more than new rhetoric to put Americans back to work — it’s going to take a new president. The big question that skinny jeans and Walmart trips cannot effectively answers is; which Mitt Romney would America end up with should Romney become president? Unfortunately for Mitt Romney too many Americans are in no mood for another crap shoot to find out who the real Mitt Romney is. mitt romney strikes me as the american version of Paul Martin jr. same history, same inter-party backstabbing, same electoral failure. Good to see you backon Meme! There you go beating up on Romney again. I understand you have a legit concern and I not trying to sell Romney here. But, that was video was 17 years ago and people do change their opinions over time, Even Ronald Reagan used to be a liberal Democrat for many years before he saw the light. true, states are laboratories for trial and error, but this error he championed and he hasn't owned up to it. 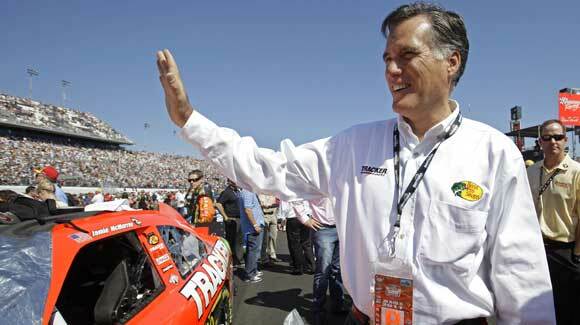 Romney is simply the next man in line. I don't even think the establishment truly believes he can beat Obama. It isn't that the video is 17 years old, the problem is it isn't the first time. Sure, politicians have epiphanies and come to a new understanding of things. But with Romney those epiphanies always coincide with a new election. Romney would go a lot further in 2012 if he simply said RomneyCare was a big mistake. Campaign in Mass to undo it and then campaign to undo ObamaCare. That state's right's stuff is simply a band aid to cover up a very big liberal mistake. Newt 2012 - Over before it begun? I say YES! Is Sarah Palin shifting gears? Happy Birthday ObamaCare - We Still Hate You! The NRSC courting Joe Scarborough? Video: Crossroads GPS anti union ad "The System"
Harry Reid: Don't cut the Cowboy Poets! Good bye treadmill, hello Hooters! And you are protesting because...? Huckabee: "Obama grew up in Kenya"